Hiroshima and Miyajima are very popular and obviously these are “Big Name”s in Japan. Some of you want to visit these place but you may be hesitating to visit there because of tight schedule. If you stay in Osaka or Kyoto, Hiroshima and Miyajima can be visited as day trip. 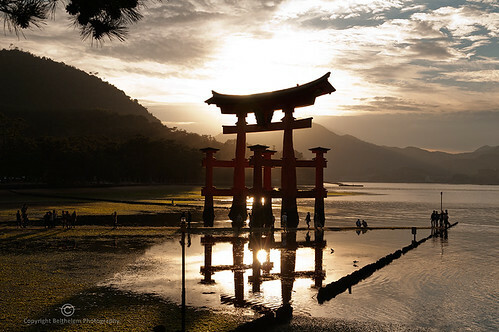 If you can stay there... Miyajima - home to shrines and temples and the torii gate which is a symbol of Japan. See the Local Transportation section. If you plan on visiting both Miyajima and Hiroshima, it is recommended to head to Miyajima first. It is always a good idea to start furthest away and make way back to your ship in case you encounter unexpected delays. From Hiroshima Airport, take the airport limousine bus to Hiroshima Station (45 minutes). From Hiroshima Station, take the JR Sanyo Line to Miyajimaguchi Station (27 minutes). Then, take the ferry from Miyajimaguchi to Miyajima Pier (10 minutes). Itsukushima Shrine is a short walk from Miyajima Pier (10 minutes). Total travel time: approximately 1 hour and 40 minutes. 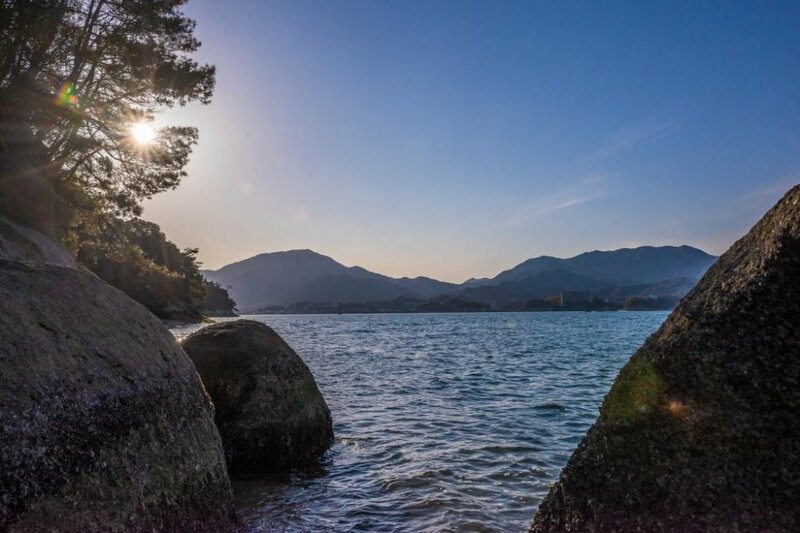 Most people who decide to do Hiroshima and Miyajima in one day tend to head right for the Peace Park in Hiroshima once they’re done with Miyajima. There are a few ways to get there which I’ve listed below from a convenience standpoint. The ferry that departs Hiroshima Peace Park to Miyajima does not go that late it is a touristy ferry. What you will need to do is catch a train from Hiroshima to Miyajima Guchi station then across the road is the jr line ferry that goes to Miyajima Island. You are doing something wrong if you are finding Hiroshima to Shin-Osaka takes 4 hours with a JR pass. There may be possible routings that take 4 hours but those are not optimal.